Last week, Tasha Robinson returned from the Tribeca Film Festival in New York City, where she talked to filmmakers about their projects shortly after their premières. The Tribeca 10 interview series addresses some key ideas in these brand-new releases in 10 minutes or less. This is the final installment in this eight-part series. 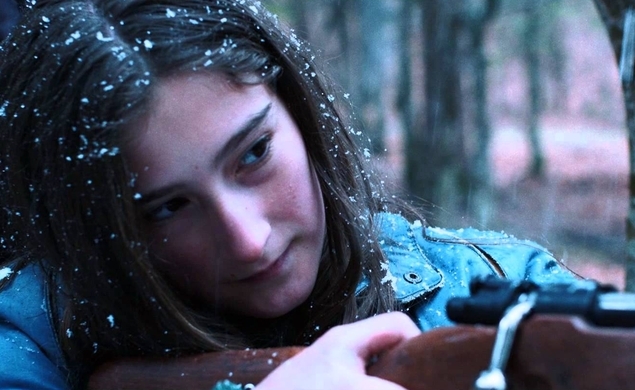 Laura Bispuri’s fragile, beautiful debut feature Sworn Virgin is one of those films that’s simultaneously difficult and a breeze. Based on Elvira Dones’ Albanian novel of the same name, the film follows Hana (Alba Rohrwacher), an Albanian mountain girl who rejects the gender strictures of her oppressive mountain community by accepting the mantle of a “sworn virgin.” In exchange for lifelong chastity, she’s granted a male identity, with the many rights, privileges, and honors denied to women. But after living for 14 years as Mark, she travels to Italy to visit her long-estranged sister Lila (Flonja Kodheli), and starts considering her femininity for the first time since adolescence. Hana’s inner life is often opaque, but this is a film of large emotions and careful symbolism, and it’s easy to get caught up in the sweep of male and female bodies Italian director Bispuri puts onscreen, to illustrate Hana/Mark’s confusion about who s/he really is, or is becoming. Strand Releasing has picked up American distribution rights, with no release date currently set, but expectations aimed at late 2015 or early 2016. The film made its North American première at the Tribeca Film Festival on Friday, April 17. The Dissolve gratefully acknowledges translator Michael Moore, who made this interview possible. The Dissolve: You said in the Q&A that this gave you an opportunity to talk about femininity. What did you most want to bring across? Laura Bispuri: Hana is a 360-degree female character who travels through femininity in a 360-degree manner by traveling through masculinity. It’s a whole discourse about the body, about the difficulty of being a woman in terms of the body, and the difficult, fatiguing journey women have to take in terms of accepting their own bodies. The whole relationship between Mark and Jonida [Lila’s demanding, judgmental teenage daughter] has to do with femininity. There’s nothing casual about the choices in this story, the use of synchronized swimming as a symbol. It’s a sport in which all the girls are same. They all have to be smiling. They have to have perfect makeup on. But all of the hard work is underneath the surface of the water, where you can’t see it. And these two characters, their whole relationship is built on helping each other to be free, and to achieve a freedom that goes beyond being a man or a woman. To achieve a freedom that has to do with being a human being. The Dissolve: In your opinion, does Hana always identify as a man? Is Mark a real identity, or a disguise she uses to escape her society? Does the distinction matter? Bispuri: As a young girl, she is very naturally drawn to the things that are traditionally considered male in that society. She likes to go running. She likes to carry a gun. She likes freedom. The problem is that her society is so categorical about what a man can do and what a woman can do. The slow change that takes place in her is also in acknowledging that it’s all very natural to him. But there’s also a female part of her that has to be expressed as well. The film is really about arriving at that point too. The Dissolve: It seems like Lila is willing to accept Mark, but only on her terms, by redefining his identity. Is this a positive development for Mark? They seem to be happier together when he gives in, but it’s still constraining his choices. Bispuri: I think it’s absolutely a positive ending, because what I’m driving at is the importance of Mark accepting these two identities—the male and the female—and finding a harmony within. I think Lila’s influence is very positive in leading to that harmony. Otherwise, I would have chosen a different outcome. Mark remains who he is at the end, so that side is there, and it’s very much embraced. But so is the other side. If I’d wanted a different ending, maybe I would have had Mark enter the cafe wearing a pair of high heels. The Dissolve: Was the first act shot in Albania? Bispuri: All of it was shot in Albania. The Dissolve: What was it like shooting there, especially in all that heavy snow up in the remote mountains? Bispuri: The snow was a godsend. I wanted snow for the scenes with Hana and her father. And in the week we arrived—it was one year ago that we arrived in Albania to shoot, and it was nice weather. There was no snow. And I was worried, because one of the first scenes we were shooting was the funeral scene, and there was no snow. Instead, the day before that shoot, the snow came down, and it was like a present from the heavens.